THREE nights ago a group of masked men stormed the 140-year old Sri Maha Mariamman temple in USJ25. They clashed with Indians that have been camping there trying to prevent the demolition of the said temple. Eighteen cars were set on fire and several were arrested. 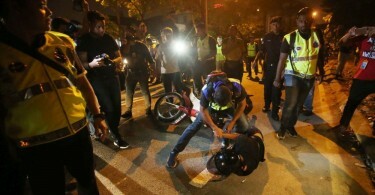 A video of the incident was circulated on social media platforms and everyone, including a Selangor exco member were quick to paint the incident as a racial clash. Some were quick to link the incident to the developers of nearby One City, who happen to be the owners of the land. A Minister publicly told off the Subang Jaya OCPD over a less-accurate statement issued by the latter. The mob that thronged the temple attacked the One City complex, smashing windows as they went, and overturned three cars that passed in front of the temple, setting them alight. Fireman Muhammad Adib Mohd Kassim, responding to the situation, was dragged out of emergency vehicle and was mauled senselessly by thugs. The 24 year-old is now in critical condition and is fighting for his life. Unlike churches and mosques, there are certain criteria that need to be met in order to build a temple. They have to be built near water, in forests, groves and gardens, on mountain tops, in valleys, and especially in caves. Every location has its sacred tree or grove, suitable for meditation. And it was a sacred tree that became the basis for the Indian labourers who toiled the Seafield Estate to build the temple there 140 years ago. This temple was built on a Seafield Estate land which was then sold by Sime UEP to MCT Berhad, owner of One City Development Sdn Bhd. 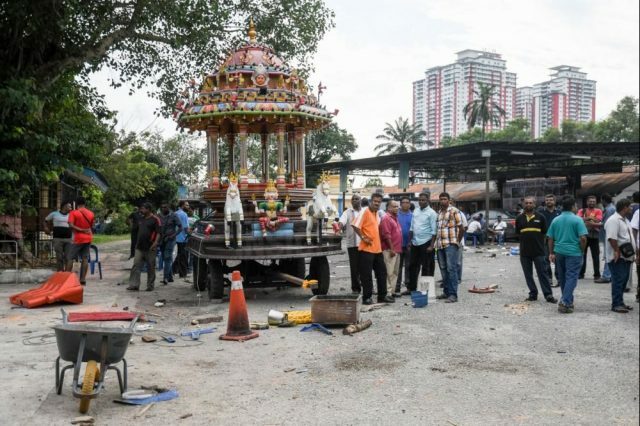 The status of the temple was put through a legal process that ended in an eviction notice being sent to the management of the temple with conditions that the developer is to make available a site for the temple to be relocated, and RM1.5 million to be paid as a compensation. Apparently, this was not honoured by the temple management, or by one of its factions that is not the legally-recognised administrator for the temple. A final court process went through and the decision to evict the temple site stayed. A plea was made by devotees to allow the temple to remain until after Deepavali. That milestone has come and gone. And the legal owners of the land are anxious for the temple to relocate. What has happened is that Unity Minister Senator P Waytha Moorthy announced that he had met with the Prime Minister on the issue and will try to negotiate for the temple to be permanently located there. But isn’t there already a legal judgment on the status of the temple and the land it resides on? What are we trying to teach our citizens? That in spite of a court judgment you can use mob rule and still get your way? If this is the kind of precedence that we plan to set, can anyone then refuse to budge if a similar order is received? Isn’t a court an avenue for two parties to seek justice? How can this be justice done when the party that has been given remedy cannot receive the remedy prescribed? And chiding the police in public? 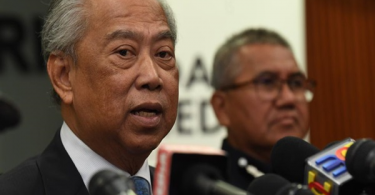 The police has a Minister who has been empowered by the Yang DiPertuan Agong to look into its affairs. Why can’t the Senator take it up with that Minister instead? What kind of respect do we want our citizens to show to the authorities? As for the exco who blamed Muslims for the initial attack, he has since deleted the word “Muslim” but apologised only when there was a public outcry. Even then it did not sound like a sincere apology. An apology with a ‘but’? And not a single action by the authorities for that intentional provocation to incite a breach of peace. A Rule of Law is a value-laden concept which includes the democratic values of liberty, equality, fraternity, and justice, among others. What we have seen in this incident is a Rule by Law – merely procedural and value neutral. Is Mob Rule now our new way of life?